Gr. cheilos, lip pous, foot A group of terrestrial arthropods, commonly called centipedes, characterized by having numerous trunk segments, each with a single pair of walking legs, except the first segment that bears a pair of forcipulate poison fangs. Most endemic species are narrow specialists, inhabiting extreme habitats, such as thermal springs, karstic caves and karstic springs (Table 1). Several endemic troglobionta have been described in gastropods, pseudo-scorpions, harvestmen, spiders and springtails, often occurring within a single or a few caves of karstic mountains. Several species of earthworms, millipedes, centipedes and assels can be considered as holo-endemic species of the Western Transylvanian (Apuseni) mountains (Csuzdi and Pop 2007 Varga and Rakosy 2008). A more elaborate program, called 'Arthromorphs', which I wrote jointly with Ted Kaehler, then working for the Apple Computer Company, embodies an 'embryology' with some interesting biological features specifically geared to breeding 'insects', 'spiders', 'centipedes' and other creatures resembling arthropods. 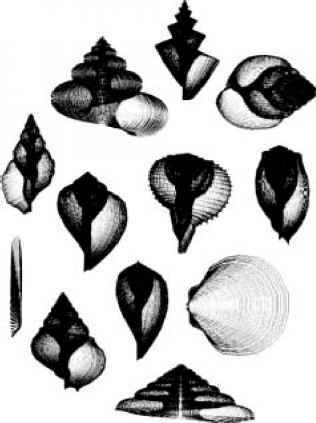 I have explained the arthromorphs in detail, along with the biomorphs, 'conchomorphs' (computer molluscs) and other programs in this vein, in Climbing Mount Improbable. Life probably began in the sea, and terrestrial plants and animals did not appear until the Ordovician period this followed the Cambrian and preceded the Silurian. Terrestrial vegetation during the Ordovician consisted mainly of simple, non-vascular plants (which probably included mosses, liverworts, lichens, and fungi), while the fossil soils contain burrows presumably made by worms and arthropods. Land plants diversified during the Silurian period, while the fauna consisted mainly of millipedes, centipedes, and tiny, fungus-eating microarthropods. 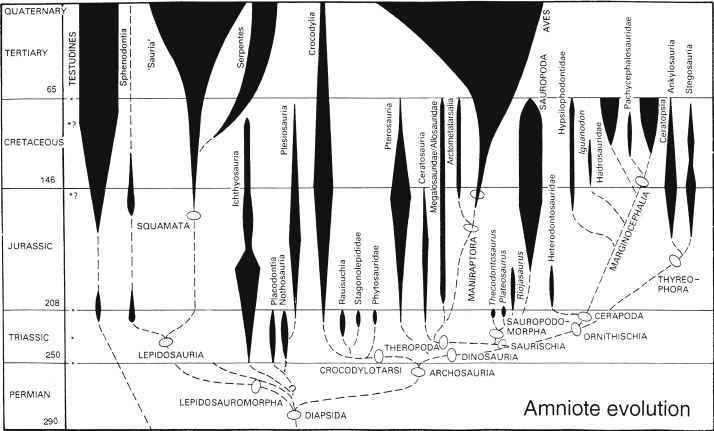 Thus, even then, there was the beginning of a terrestrial food web consisting of primary producers, decomposers, secondary consumers, and predators. Nearly all the terrestrial animals of the Devonian period were arthropods. 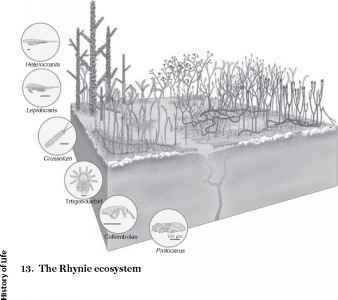 The phylum Arthropoda diversified considerably at that time mites and springtails (Collembola) appeared, and the first amphibians crawled onto the land (Benton and Harper 1997). The first reason is that life on land represents most of modern biodiversity. Whereas some 500,000 species live in the sea today, at least ten times that number live on land. The bulk of modern biodiversity consists of insects, but other terrestrial groups, like other arthropods (spiders, centipedes), as well as flowering plants are much more species-rich than anything in the sea. So life has really prospered after it moved onto land. 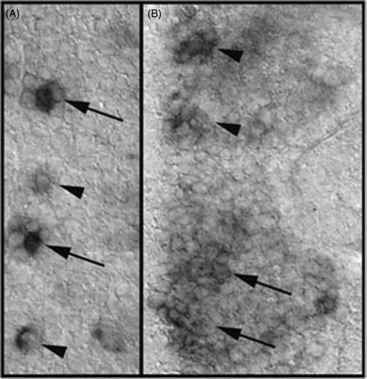 Trace evidence of microbiotic crusts goes back to Precambrian times. The development of a true soil, or humus, to underlie this crust required many more millions of years. Nutrient-rich humus consists of a mixture of minerals and organic compounds left by dead and decaying organisms. Burrowing creatures such as earthworms, ants, centipedes, and millipedes are instrumental in mixing these elements to create a rich substrate capable of encouraging the spread of plant life. The first evidence of burrowing creatures in the terrestrial fossil record occurs in the Late Ordovician Epoch. The fossil evidence suggests that ancestral centipedes and millipedes may have made these early burrows. Fossil spores found in terrestrial rocks dating from the end of the Ordovician Period indicate that by that time, the first plants had successfully begun to take root on land. Fossilised tracks show that some pretty impressive beasts were tramping along sandy river banks, about 450 million years ago. Some tracks were made by centipede-like animals, as long as a big dog. The most frightening were the eurypterids - animals that were not only mean by nature, but probably often hungry and so very cranky. 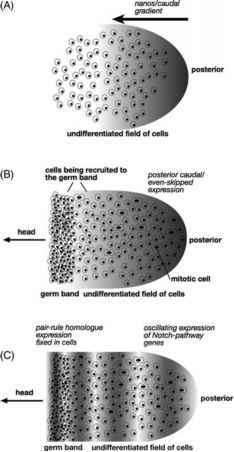 GIUSEPPE FUSCO is Assistant Professor of Zoology at the University of Padova, Italy, where he teaches evolutionary biology. 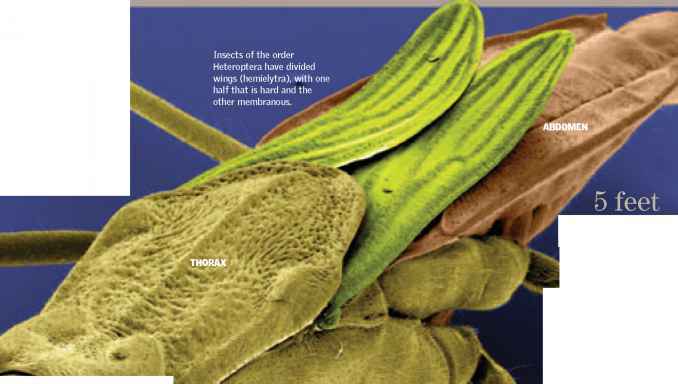 His main research work is in the morphological evolution and post-embryonic development of arthropods, with particular reference to the role of segmentation in the Chilopoda. There are four extant arthropod groups (1) Hexapoda or Insecta (note that there is some variation in the use of these terms in the literature, principally by considering the insects as a subgroup of the Hexapoda) (2) Myriapoda (millipedes and centipedes) (3) Crustacea (crabs, lobsters, etc.) and (4) Chelicerata (horseshoe crabs, spiders, scorpions, etc.). The literature on arthropod phylogeny is one of the most voluminous in systematic zoology, and chronicles a rich history that extends back to the very beginning of evolutionary biology. These extensive efforts to reconstruct the phylogenetic relationships of arthropods are classically rooted in morphological (including fossil) information, but the recent application of an increasingly diverse array of molecular data has yielded several important advances in our understanding. The earliest evidence of terrestrial animals comes from Cambrian-Ordovician trace fossils (MacNaughton et al., 2002), but the oldest body fossil to date is from the Early Silurian (Llandovery Wilson and Anderson, 2004). Age estimates based on molecular clock assumptions, however, suggest a much earlier occurrence date (Pisani et al., 2004). As is the case for plant fossils, there appears to have been a radiation of terrestrial animals in the Late Silurian-Early Devonian when the fossil record of terrestrial animals becomes more abundant and diverse. 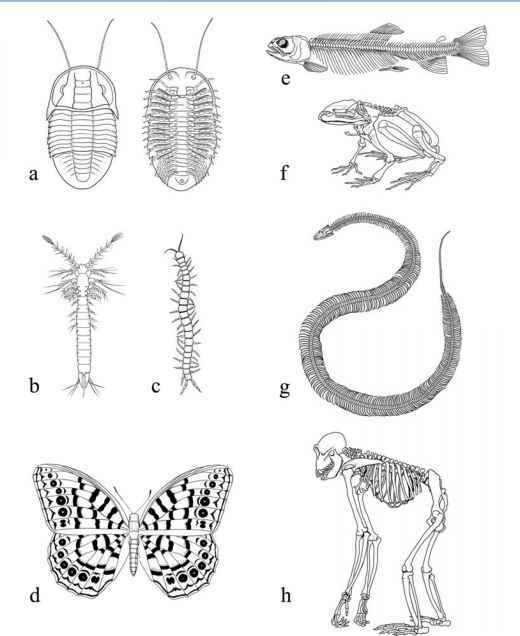 It is interesting that the arthropods from the Siluro-Devonian (e.g., millipedes, centipedes, arachnids), including those known from the famous Gilboa, New York site (Shear et al., 1984 see Chapter 23), are all believed to have been predators (Shear and Selden, 2001). 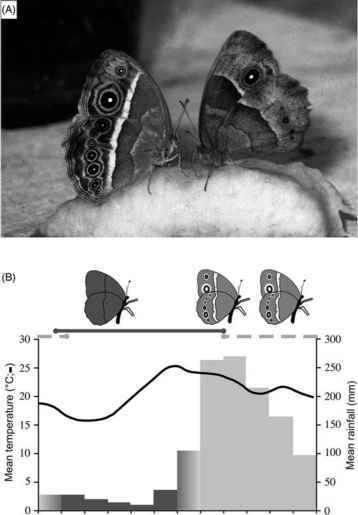 This underscores the probability that a complex terrestrial ecosystem existed prior to the Late Silurian (Jeram et al., 1990). Free version of House Centipedes Control can not be found on the internet. 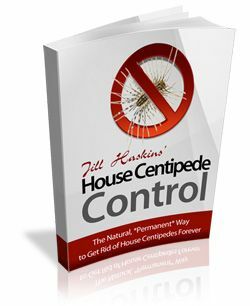 And you can safely download your risk free copy of House Centipedes Control from the special discount link below.